Having never considered myself particularly interested in architecture other than to go “oooh that’s pretty!” I decided to take a river-boat-cruise about architecture during my stay here in Chicago. I was so glad I chose to go, it was gorgeous, seeing way they call the ‘canyon’ if skyscrapers from a different perspective with an enthusiast’s narration about the development and ebb and low of architecture styles, fads and trends. Also a lovely story or two about the change in the city’s relationship with the river, how it changed over time, used and abused, misused, loved and now a must-see feature of this booming city. How ever you look at it the city has many pockets of different characteristics and each nook and cranny appears to have a story to tell. So today I’m heading to the Art Institute, I’ve been told you need days to fully explore, such is the delight and wonder of the place, so many things to see. 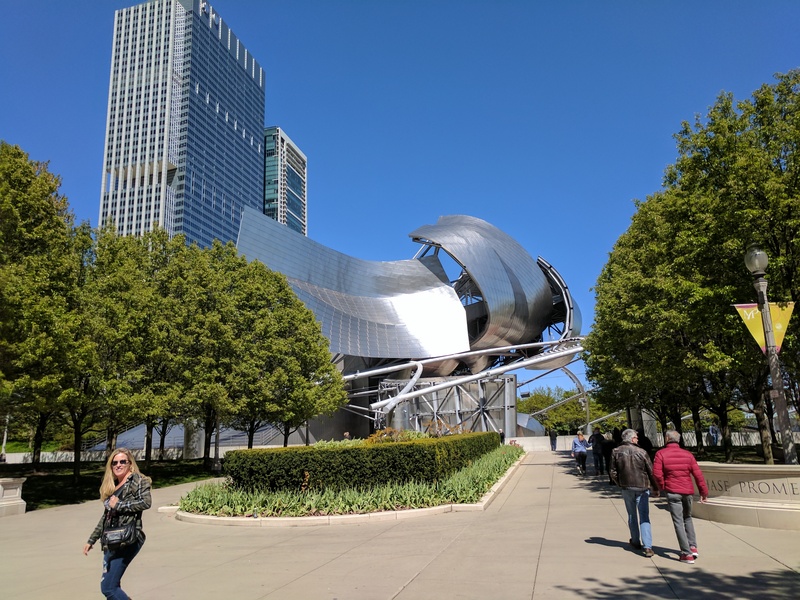 Here are a few photos from my sight seeing so far this week; from my time in Millennium Park, which is a beautiful space with art installations, a beautiful and large free outdoor theatre, some fountains and ‘The Bean’ to name but a few. Had a great day walking the streets of Chicago enjoying various coffees, cakes and delights as I travelled. Just sort of spent today getting to grips with the places and sights surrounding where I’m staying, taking some time out to get some slightly more deliberate and thought through photos done of some of the streets and architecture. I enjoyed really looking at where I was, not just seeing, really watching and looking at what’s surrounding me. 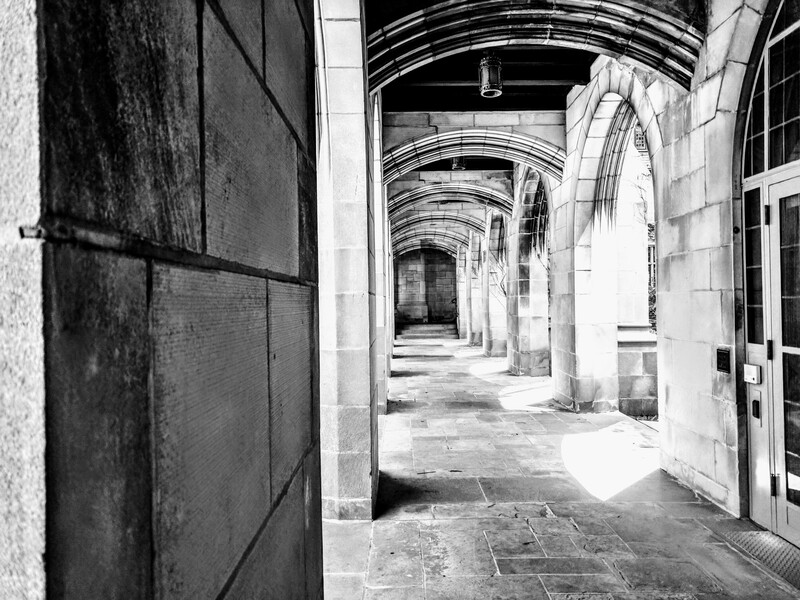 Seeing the reaching curves and twists of the more cathedral like spires and turrets boldly standing in contrast to the sharp, blocked, concrete edges of the towering lines of the more modern structures. Some truly juxtaposed beauty to run in to around here. Having arrived yesterday at O’Hare airport I’m still getting to grips with the -6hours time difference, but so far jet lag has been bearable, it’s just my confusion over which day I’m actually on which keeps throwing me. I’ve spent today getting my bearings and exploring this beautiful city, walked miles, jumped on the EL and went round the loop. Went to several places on a delightful walk back up Michigan Avenue, also went to see ‘The Bean’ in Millennium Park, some lovely art installations including some HUGE fountains with changing faces, some sculptures made from tyres and various other bits and pieces. Also paid a visit to The Cheesecake Factory, which was a little bit like stepping into Charlie and The Chocolate Factory – and the cheesecakes were immense!! 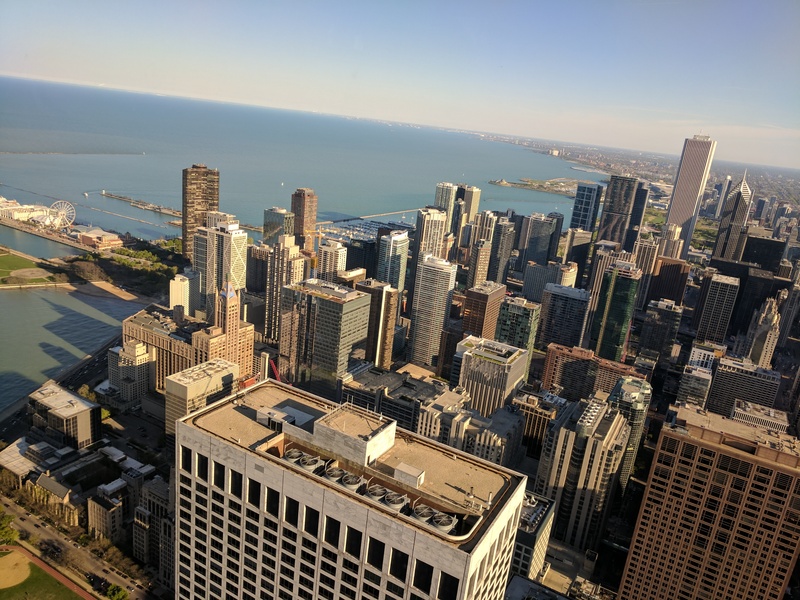 Finally took a trip up to the 96th floor of the John Hancock tower (360 tower) for a scrummy mojito and beautiful skyline view. Looking forward to the rest of my time here, will keep you in the loop. I’m really delighted to say that my ‘Hunter’ sketchnote has been featured on the Sketchnote Army website today. I don’t know how many of you are familiar with it as a concept or even as a term but Sketchnoting is a great way to visualise and capture thinking, making sense of things and planning projects, presentations or even plot lines. I’m not an expert by any means but wanted to share my experience with you as I’ve found it invaluable at work, with my writing, planning projects and for fun. There’s so much to say about this so I’ll try to keep it light and write some other bits another time. I would highly recommend following Mike Rohde, Sunny Brown, Mauro Toselli . Chris Noessel and Sketchnote Army on twitter if you’re interested in Sketchnoting. 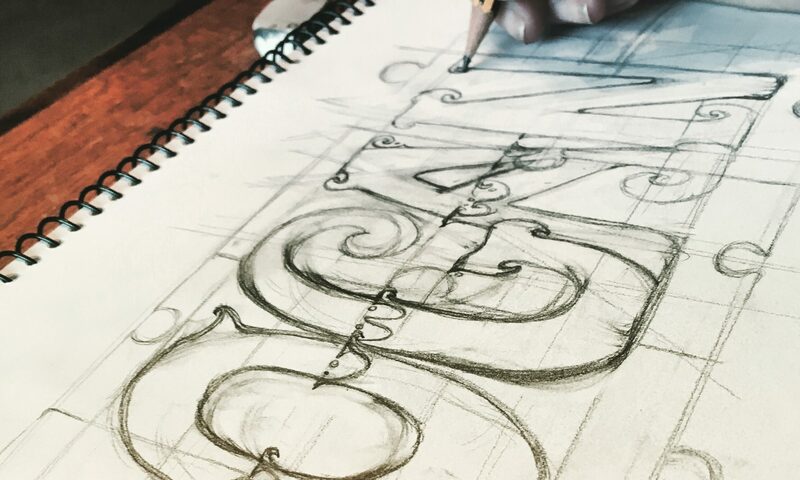 One of my favourite things about it is that it’s so unique – everyone develops their own style, icons and typography as they go, no two Sketchnotes are the same. Even if you produce multiple Sketchnotes for the same thing you are unlikely to create the same note twice. The good news is it doesn’t matter – the point of a Sketchnote is not to produce a piece of art work that stands alone for others to look at, but to produce a snapshot of/help articulate your understanding.